In 1948 the Boston Braves won their second National League pennant of the 20th century, and first since 1914. Led by the talented arms of Warren Spahn and Johnny Sain, who combined for 39 victories, the team finished with 91 wins and six games ahead of the St. Louis Cardinals. The Braves would fall to the Cleveland Indians (a battle of the Native American mascots) in the World Series, and four years later the franchise moved to Milwaukee. 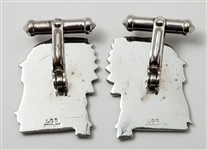 These offered cuff links, having an identical design as the club's 1948 World Series press pins, celebrate Boston's last 'NL' pennant winning season. 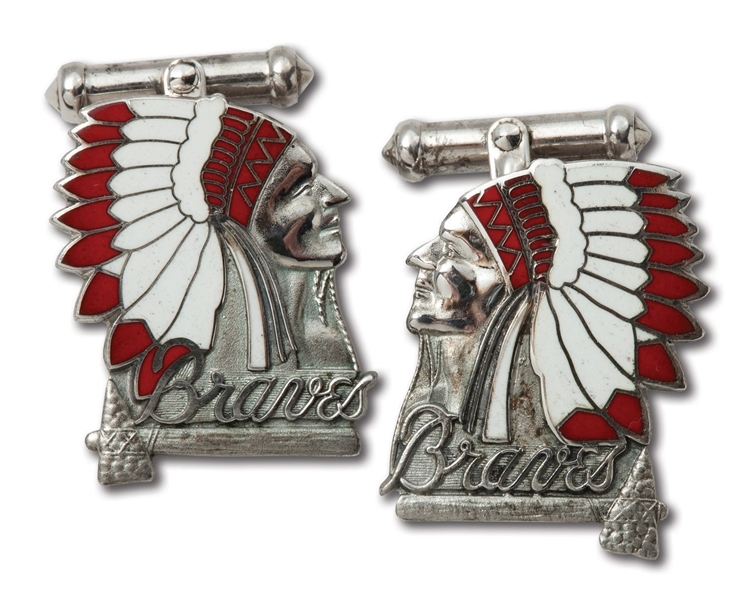 The face depicts an eye-catching Native American headdress in red and white enamel. 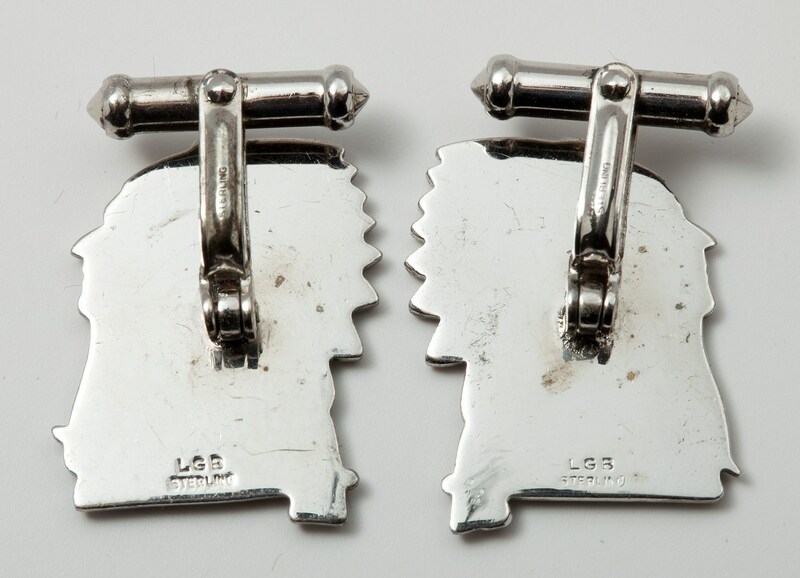 Made of Sterling Silver by Balfour, the reverse of each is stamped "LGB STERLING". The fastening devices on the backs are intact and function properly. Each cuff link weighs six grams and shows very light tarnishing, appearing near-mint.